If there was a magic button you could click that would instantly increase your number of sales, save you money, increase the value of your product, and improve productivity, would you click that magic button? Salesforce CPQ (configure, price, quote) provides that magic button. The health and life science industry is constantly changing and evolving. As new products are introduced and consumer needs change, companies must be willing to change to meet the needs of their customers. Salesforce CPQ is a sales tool that quickly and accurately generates quotes for customers. Not sure if Salesforce CPQ is right for your company? 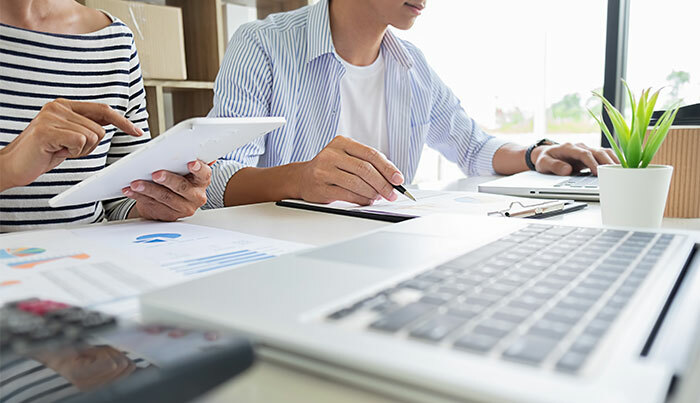 Continue reading to see what Salesforce CPQ helps companies achieve and examine whether or not your company could benefit from Salesforce CPQ. Salesforce CPQ uses pre-programmed formulas to produce quotes quickly. Usually, a sales team must decide between spending hours to get an accurate quote to a customer or delivering a quick quote—which often results in incorrect prices or unapproved discounts. CPQ uses pre-programmed rules to consider every configuration, price, discount, and scenario to produce an accurate quote that will satisfy both the customer and CFO. With Salesforce CPQ, your sales team will be able to respond more quickly with quotes, decreasing the number of frustrated customers and increasing the number of sales. Health and life science companies thrive on meeting the individual needs of each customer. It can often take days or even weeks for a salesperson to analyze the company catalog and respond to the customer with accurate products and discounts. By this point, the customer has often grown impatient and has decided to give their business to a competing company that met their needs more quickly. With Salesforce CPQ, the salesperson doesn’t have to spend hours calculating and assessing the company’s products and price points, most of which he or she doesn’t fully understand. Instead, the salesperson can type in the needs of the customer, and Salesforce CPQ will use pre-programmed formulas to calculate a sales quote quickly and accurately. Rather than end up with discouraged customers who don’t want to wait for a quote, Salesforce CPQ helps you to respond to customer needs quickly. When it comes to health care, people don’t want to wait. Quick service will increase customer satisfaction and the number of customers. Salesforce CPQ allows you to provide more products and product combinations to your customers, while still saving time and manpower. Health and life science companies are constantly changing and growing as new information is learned and new products are developed. A 2018 Deloitte study shows that the value perceived by patients is expected to drive pricing increasingly. While it’s important for customers to feel they are getting the best value for their money, companies still need to make a profit. Fortunately, Salesforce CPQ considers available discounts to satisfy customers, while still providing for a considerable profit margin for the company. Salesforce CPQ is easy to adjust as your product line evolves and grows, and it uses pre-programmed formulas to meet the specific needs of your company. Salesforce CPQ provides more accurate sales quotes, improving the ability to meet customer expectations. The health and life science industry is focused on meeting the individual health needs of each customer. The Boston Consulting Group (BCG) has found that the constant shifts in the health care environment make it difficult for life science companies to sustain growth. Another study from the BCG shows that creating value is a critical competitive advantage for those working in health care. There are fewer miscommunications and a greater ability to meet customer demands with that competitive edge when you use CPQ. You can package various products together and satisfy the specific needs of each customer while still making a significant revenue for your company. Salesforce CPQ allows companies to release more sales quotes in less time. With the constant growth of health and life science companies comes the addition of new employees and more possibilities for error. While adding more manual reviews can potentially improve the quality and accuracy of quotes, these reviews slow down quoting times and open the door to more human errors. Salesforce CPQ provides more accurate quotes in less time, allowing sales teams to sell to more customers and upper management to spend less time approving discounts and packages—all in all, more time improving the culture of the company. A happier and healthier company culture provides for more-productive employees. Salesforce CPQ will help your company provide greater customer satisfaction, increase the number of sales, improve company productivity, and make you more money in the process. The health and life science industry can be very competitive. Rather than drown in the competition, use Salesforce CPQ to offer quick quotes that are affordable for your customers and come in under budget. You’ll make more sales and save more time and money.